Camping season is upon us once again. All over Tennessee, campgrounds are getting ready to open or already have. 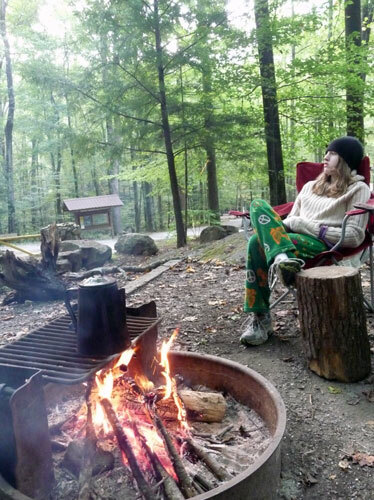 The smell of camp fires and smores, the sounds of screech owls, children playing throughout the grounds, and the simplicity of just living in harmony with nature and very little technology, if any at all. What more could one want or ask for? A weekend or week long vacation away from the rat race. To unplug and unwind. The only concerns of the day: gathering firewood, food, ghost stories, and whether or not to go for a hike, ride the bike, read a book, or, best of all, take a nap. Ah yes, it's those times out camping that really help us to appreciate the simple things in life. With the camp season here, I thought I'd take some time to go over some of the great parks in our area that offer wonderful camping opportunities. What better than to have it all in one area rather than have to scour the interwebs to find it all? Campground - $20/night. Open year round. 50 total sites with hookups and water, soft gravel pad, a picnic table, grill and fire ring. There are 3 modern bathhouses in the campground but bathhouse 2 and 3 are closed until March 31st. Backcountry - There are 3 backcountry sites in the park. They are free to stay at but a permit is required and easily attainable at the park office. Pets are welcome but must remain on a leash. No pack animals allow. Locations of the campsites are as follows: one on the West Dark Hollow Trail, one at the end of the East Dark Hollow Trail, and one at Sharp's Station. It is suggested you call the park office for current trail conditions before heading into the backcountry. Group Camp - A large group camp may be reserved ahead of time for your large group or function. Call the office for prices and availability. 102 campsites here with 4 that are tent only. 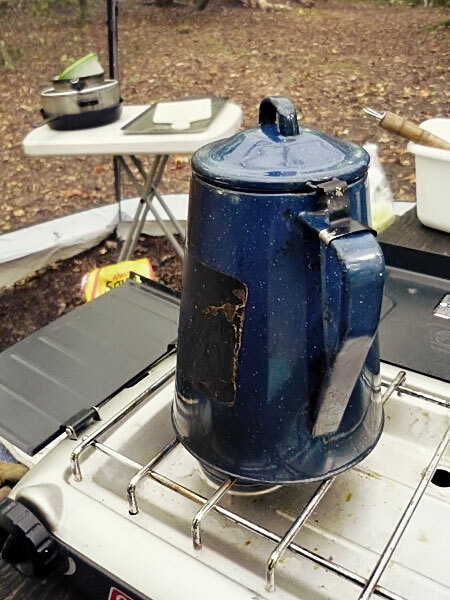 Each campsite includes Water and electrical hookups, a grill, and picnic table. There are 2 modern bathhouses in the campground. Site are on a first come first serve basis with a 2 week stay limit. 145 Tent and RV sites are available on a first come first serve basis. Each site allows up to 7 adults and has hookups, picnic table and grill. There is also a bathhouse in the campground and a seasonal camp store which opens in May. One other note, non-campers can shower in the bathhouse for a $3 fee. Backcountry - There is one backcountry site in the park, on the Cumberland Overnight Trail. This site is free to camp and at this time we have been unable to confirm if a permit is required. 20 rustic sites and 2 rustic group sites. The regular sites are on a first come first serve basis and include gravel tent pads, picnic table, grill, fire ring, and lantern hooks. The 2 groups site contain fire rings, grills, picnic tables, gravel pads, and lantern hooks. These sites can be reserved up to two weeks in advance and accommodate up to 20 people. In the Big Cove Campground, there is a modern bathhouse, a wash basin, community water spigot and wood shed that isn't always stocked with wood. Campers are allowed to gather windfall for fire wood, but or restricted from cutting down trees. Additionally firewood from Indiana, Ohio, Michigan, Illinois is banned from the park due to insect infestation. This campground opened on March 15th. Primitive Group Camp - Price unknown. 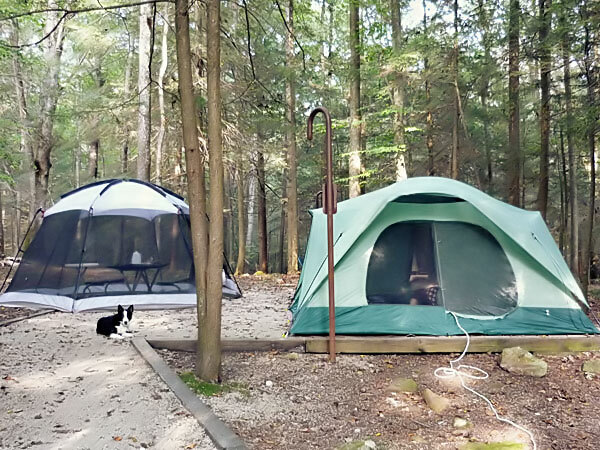 The primitive campground contains 8 sites that accommodate up to 15 people each. These sites are open year round and are available on a first come first serve basis. There are portable toilets available to this area and bathroom facilities are only a walk or ride in the car away. Backcountry - There are a total of 11 backcountry sites along the 80 miles of trails in Frozen Head State Park. These are free to stay at but a backcountry permit is required and available at the park office/visitor center. There is a bathhouse available to backcountry campers at the Old Mac trailhead when you come off the trail. Note: For more information on Frozen Head State Park check out our Featured Parks page as it is our featured park for the months of March and April. There are two campgrounds at Norris Dam State Park with 25 sites on the eastern side of the dam and 50 sites on the west side. Each site features water and hookups, picnic table, and grill. Each campground area also features a modern bathhouse which are seasonal. The sites are also on a first come first serve basis with a 2 week limit. On the east side of the dam at the back of the regular campground there is a primitive, tent only campground. These sites have fire rings and may or may not have a table. Backcountry - There is one backcountry site on the Andrew's Ridge trail on the west side of the dam. There is no cost to camp here but a permit is required and possibly reservation. Please call the park office to ensure no one has reserved it prior to any trips you plan. (Correction - The backcountry site, we found out, is $11 to camp). The campground at Panther Creek offers 50 campsites on a first come, first serve basis with a 2 week limit. Each site features water and electrical hookups, table, grill, and fire ring. Additionally, there are 2 bathhouses that are opened seasonally. The campground offers 35 campsites complete with water and electrical hookups, table, and grill. There is also a seasonal bathhouse available to campers. All sites are on a first come, first serve basis with a maximum 2 week stay. Group Camp - The group camp is available for large groups/functions and can be reserved through the park office. Please call for rates and availability. Backcountry - There are over 58 miles worth of trails that wind through Pickett State Park and the surrounding forests. Backcountry sites are abundant and free to stay at. Of course a backcountry permit is required and can be obtained at the park office/visitor center. Campground - $25/night (tent only site may be cheaper, call the office for more information). The campground offers 87 RV sites complete with water and electrical hookups, grill, and picnic table. There are also 20 tent only sites that offer the same as the RV sites minus water and hookups. The tent only area does have two community water spigots. There is a bathhouse that serves the campground as well. All sites are available on a first come, first serve basis. Group Camp - There are 4 group camp sites that will accommodate up to 25 people for non-profit groups. Call the park office for reservations. Note: The parks website notes that the sites are opened to self contained campers only from Nov. 15 - Apr 1st. Big South Fork has 2 campgrounds (Bandy Creek and Blue Heron) Please visit each of their respective websites for more information. Backcountry - There are a multitude of backcountry sites in the Big South Fork. Permits are required and fees are variable. Please see the website for more information. Front Country - There are multiple campgrounds in the Smokies. Please the their camping page for more information. Group Camping - Each of the campgrounds also offer group camps that can be reserved. Please check out the group camping page for more information. Horse Camping - There are multiple horse camps throughout the park. Check out their horse camping page for more information. 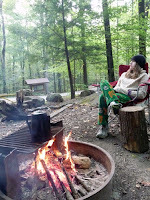 Backcountry Camping - Finally there are multiple backcountry sites and shelters throughout the Great Smoky Mountains. 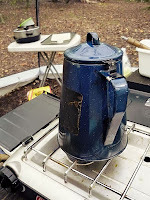 As we would need to write multiple blog entries to cover them all, it's best to check out their backcountry camping page for further information. 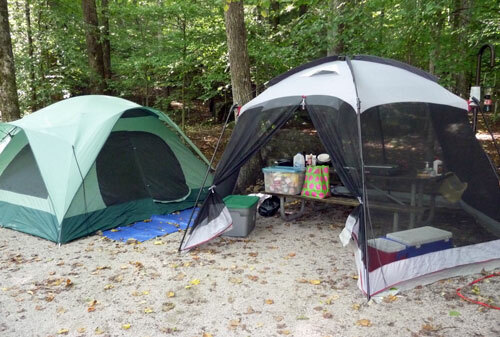 The Wilderness Road Campground in Cumberland Gap NHP offer 160 total campsites. 40 of the sites offer water and electrical hookups. All sites feature tables and fire rings. There's also a bathhouse for campers. Group Camping - $30/night up to 30 people. An additional $1 is charged for each person over 30 persons. Reservations can be made for the group camps for up to 3 months in advance. Call the visitor center for more information. Backcountry Camping - There are several backcountry sites in the park and are free of charge. They do require a permit which can be obtained at the park's visitor center. For more information about camping at Cumberland Gap NHP check out their camping page. That just about covers it for camping info in the State and National Parks here in our neck of the woods. A complete rate sheet for Tennessee's State Parks can be found here. Now that you have this information at your finger tips, what are you waiting for? It's time to get to planning that camping outing with the family and/or friends. Oh that's right, what are you going to cook, what about safety, or camping activities? Well don't fret too much. If you have questions in those arenas, you are in luck. This next week at Appalachia & Beyond is "Theme Week". Bet you can't guess the theme. Okay so you can. Be sure to check back through the week for our camping themed posts where we will cover camp food, camp safety, camping gear and more. 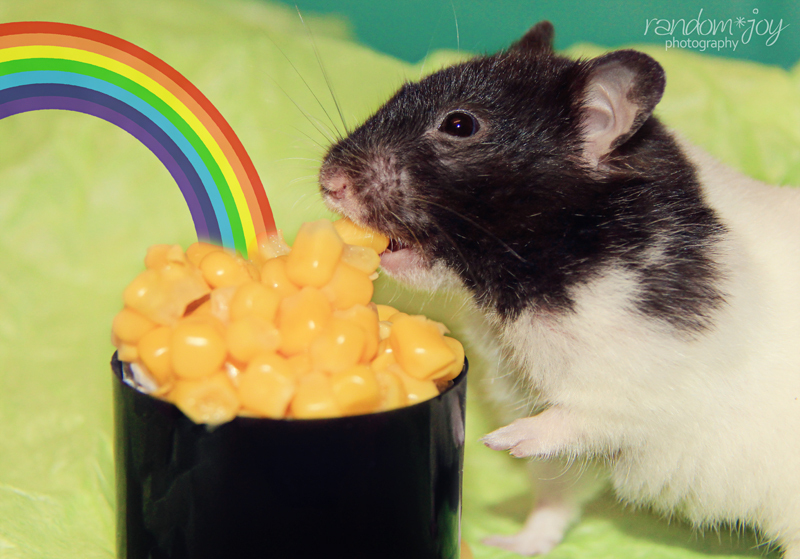 Oh, and Ms. Coo says, "Happy St. Patrick's Day!"